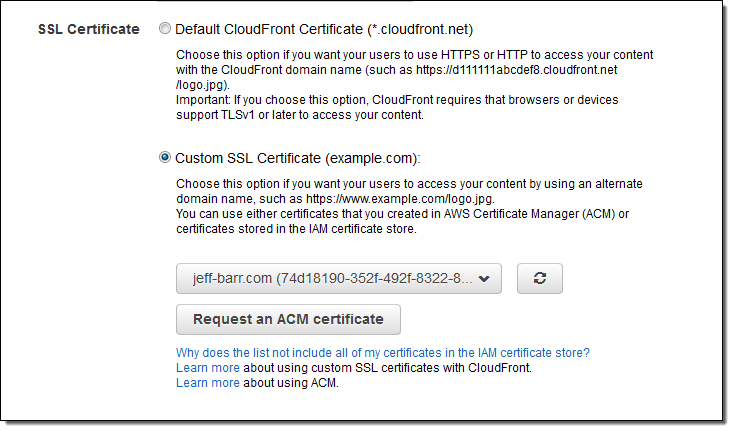 AWS Certificate Manager (ACM) is available now in the US East (Northern Virginia) region, with additional regions in the works. 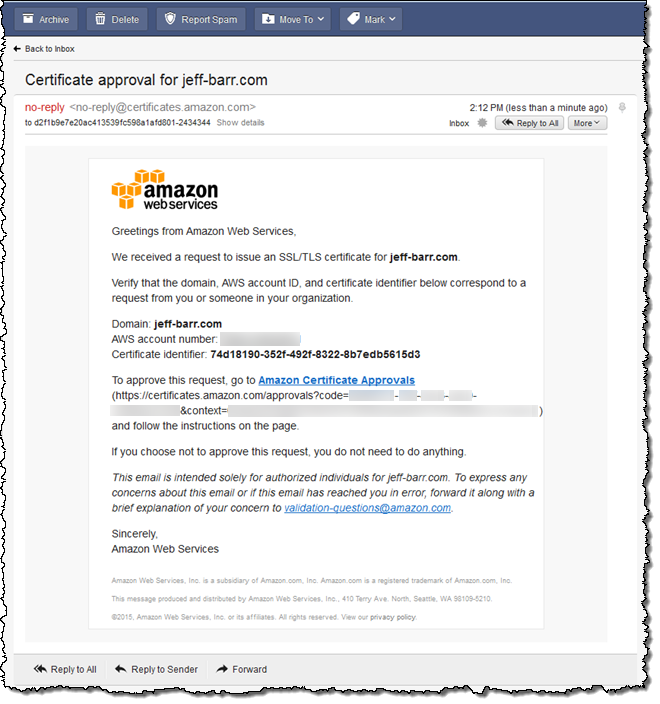 You can provision, deploy, and renew certificates at no charge. 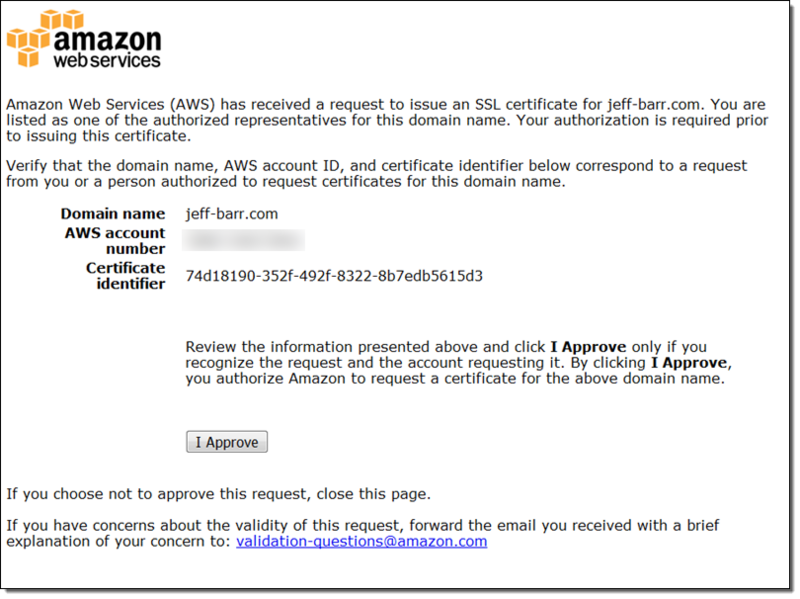 This entry was posted in AWS, CDN, Cloud, Computer, Murmuring, Network, Security, WWW and tagged amazon, aws, cdn, certificate, cloud, cloudfront, elb, manager, security, ssl, starfield, tls on January 22, 2016 by Gea-Suan Lin.